Bamboo clothes are the best thing to hit the textile industry in a long time. The San Francisco based company named Selective who are dedicated to making quality lifestyle products have created a way to ensure that you get to experience an amazing bamboo product by giving us the Bamboo viscose undershirts. 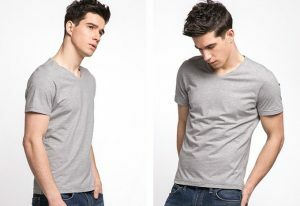 They are dedicated to ensuring that you are able to get these undershirts on time and affordable. Durability — Bamboo has for long been used for structural purposes due to its strength and flexibility and was first won as corsets and bustles for they can withstand being used over a long period of time and under pressure. 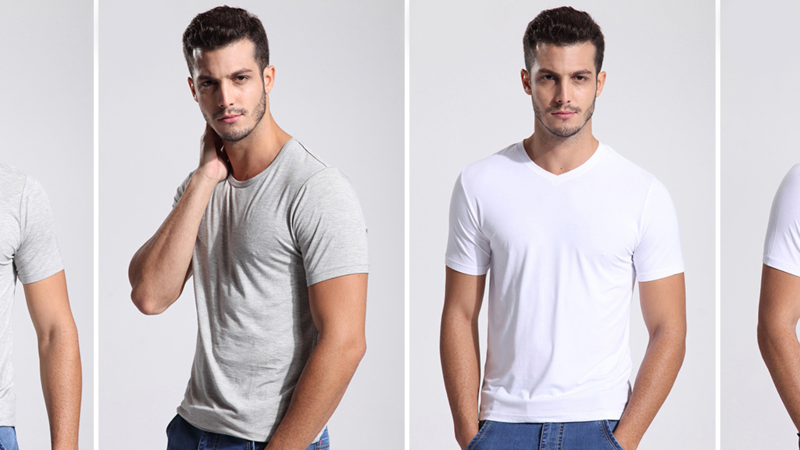 Super Soft — The intricate method used to form bamboo fibers ensure that we get very soft textile and clothes, thus making perfect undershirts with a very luxurious and soft feel. 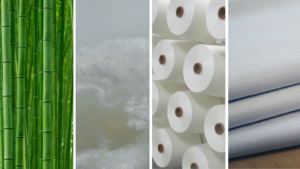 Breath-ability — The bamboo fibers are three times more breathable to cotton and other natural and synthetic fibers. Ultra-absorbency — Bamboo fabric has a high-quality absorbency rate hence keeping moisture away from your skin while keeping you dry. Antibacterial — The plant has a natural repellent called the bamboo-Kun. This is an antimicrobial agent it helps the plant to naturally repel pest and fungi infestation. Anti-mildew — Due to the high absorbency of the bamboo, mold, mildew, and bacteria can not stay on bamboo fabric even after multiple washing. Gentle on skin — it’s very rare to get an allergic reaction to the bamboo fiber as it’s antibacterial. Hence bamboo fabric is perfect for sensitive skin. Anti-odor — As a result of the high hygienic quality of the bamboo, and its resistance to mildew and moisture it doesn’t get smelly even after many days. Stretch — Bamboo has a high stretching limit and the undershirts have also 5% spandex material enabling them to keep their form and stay wrinkle free. UV rays protection — Bamboo fabrics cut out a very high percentage of harmful UV rays, hence it is ideal for holidays and traveling cover-ups. Thermo-control — Bamboo fabric is adaptive for all kinds of temperatures. It keeps warm in cold temperatures because of its hollow microfibers, but it is also very breathable making it perfect for the hot temperatures. Bamboo materials and clothing are not only good for us but for the environment. Hence, anyone who is mindful of our environment and who would want to ensure that there is a stability and flow in our ecosystem should consider the following advantages. Grow fast — Bamboo is a self-replenishing plant meaning that you can harvest from the same plant for a very long time and in a very short time period. Therefore we get yields more often from the same land without disturbing the surrounding areas. Greater yields — We get a great volume of bamboo fabric from a small area of land compared to cotton which would need much more land to get the same amount and volume as the bamboo yield. Grow naturally — Bamboo grows well without any interference or use of pesticides and fertilizers meaning the fabrics come from a completely natural process. Biodegradable — As it is cellulose based, the bamboo fabric is naturally biodegradable in sunlight, in the soil, and by microorganisms. Great water use — Bamboo has good water-use efficiency better than cotton and it only needs rain water to grow very little, if any, additional water is ever required. Soil sustainability and Erosion — Since the bamboo is not cut down after use, there is no need for replanting ensuring the soil is left intact. Also, the hasn’t intricate root systems that hold the soil in place. It is also wise to look at the downside of the bamboo under-shirt as gotten from complaints and questions from clients but all that was found the question on how to take care of them, and the answer as given by the manufacturers is simply to machines wash cold and tumble dry low. With all these advantages in mind, it is safe to say that bamboo fabric is the best option for our clothes fabric and that the under-shirts by Selective are the better option. Bamboo undershirt by Selective is now available on Kickstarter for just $30 (for 2). Check the link below for the latest pricing and availability.